Material: Knitting Wool.Fashion and stylish design for photo props,Christmas, Easter, pageants, baptism, and daily wear.Unusual but beautiful designs are sure to make your little girl/boy a centre of attention! It's hard to pick a favorite minion. 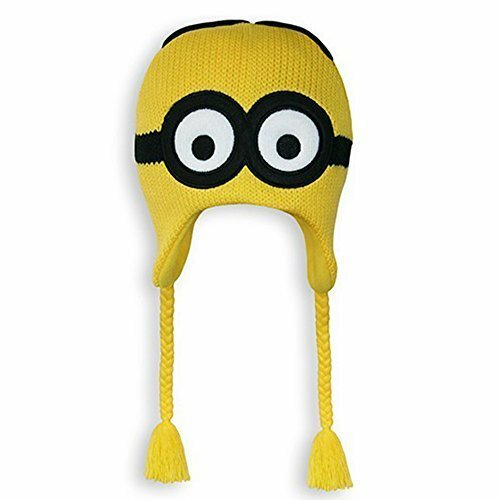 Thankfully, you don't have to with this watchman beanie. One side has a one-eyed minion design and the other has a two-eyed minion design. BA-NA-NAAAAAAAAAAAAAA! Our beanies are great for any occasions when you need warmth. 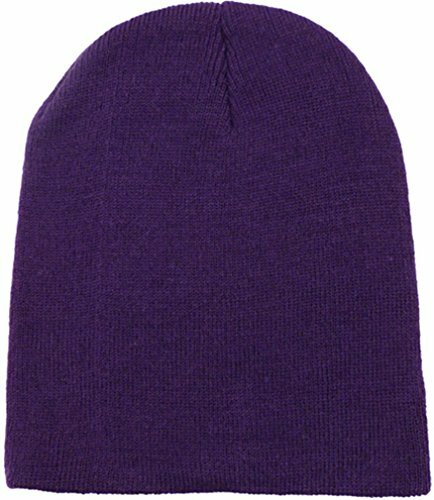 Made with high quality acrylic, this beanie feels soft and plush on the head with an easy stretch to fit comfortably. 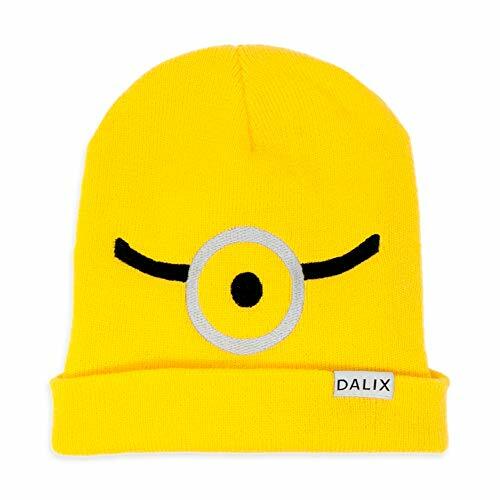 Featured on this beanie is an embroidered design in Minion yellow. You can use this for Halloween costume setups, or simply just to look cute. Measuring at 8.5 inches in length (cuffs unfold to 12 inches) and 7.5 inches width, it allows for easy fitment for all ages. It also folds and rolls down for portability in times when you need to store in your pack or jacket. FEATURES: Soft and plush material, fits all ages. 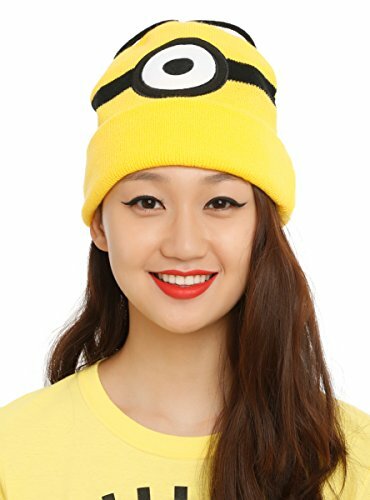 Minion yellow theme design for costumes and cute looks. SIZE: 8.5 inches Length (stretchable to 12" unfolded) x 7.5 inches Width (measurements when laid flat). USEFUL FOR: Cold weather, Halloween , snowboarding, skiiing, just for looks. MATERIAL: Acrylic. COLOR: Minion Yellow. 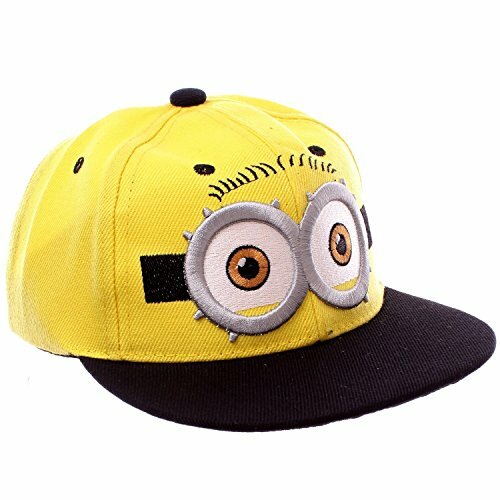 Theme: Minion Type: Hip-Hop, Baseball Cap Age Group: 2 - 8 (Unisex) Size: Cap Circumference:48cm-52cm (adjustable snapback) Material: 60% Cotton/40% Polyester Design: 3D Cartoon Embroidery Handling: Washable and Dryer Safe Minion cartoon character themed hip-hop style baseball cap for kids between the age of 2 and 8. 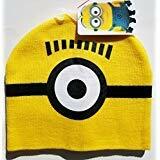 Yellow stylish cap for both boys and girls for games or for style. Don't worry about the cap getting dirty because it is washable and safe to dry in a dryer. It has a circumference of 48cm-52cm with an adjustable snapback that helps to make it fit perfectly for your kid. It has a unisex design so it fits all your kids. 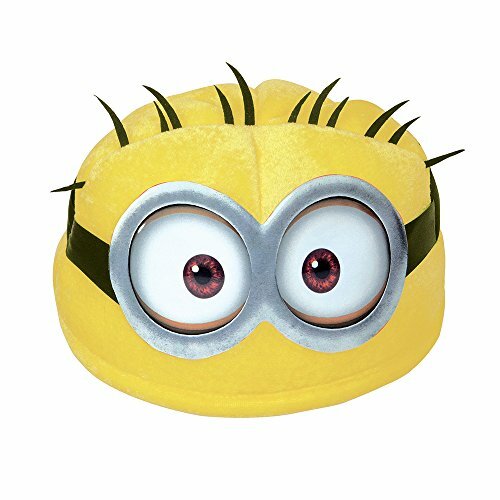 Any kid will love pretending to be a goggle-wearing, spiked haired Minion ready to take on some mischief with this Soft Despicable Me Minion Hat. 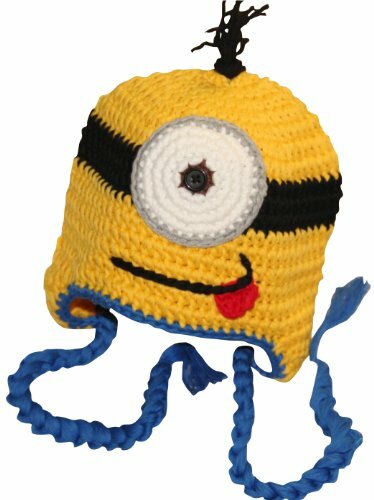 This plush Minion Hat is fun accessory for a birthday boy or girl to wear at their Despicable Me birthday party. 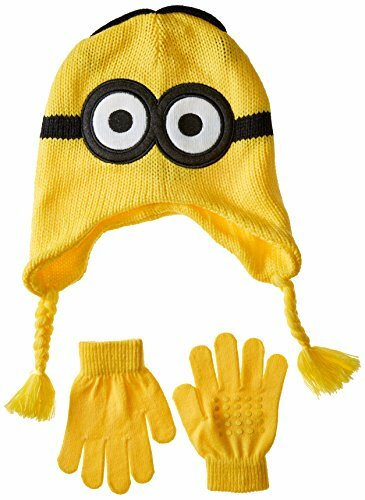 It can also be paired with blue overalls and black gloves to complete a Minion Halloween costume.